162 pages with diagrams and index. Octavo (8 3/4" x 5 3/4") issued in green cloth with gilt lettering to spine. Translated by Kenneth P Neat from the Russian edition. (Lusis: 1115) 1st British edition. 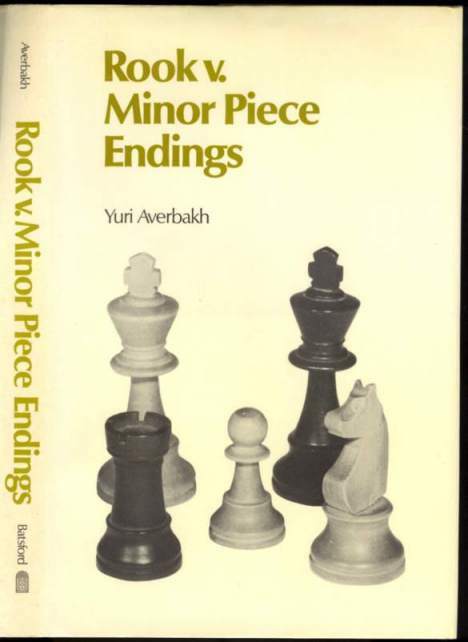 Rook v Minor Piece Endings is the sixth volume to appear of Averbakh's great classic series on the endgame. The original Russian edition quickly established a world wide reputation - these are the endgame books Fischer had sent to him during the world championship match. Divided into two parts: rook v bishop, and rook v knight, considerably more than half being devoted to the former as such endings (plus pawns) seem to occur more frequently in practice. This edition includes some revision by Neat, particularly in the addition of new positions from actual games. In both matches and tournaments, games are often adjourned at the moment that the ending is reached. It is then that any player without the most authoritative work to refer to puts the player at a great disadvantage and is in danger of throwing away both half and whole points. Jacket price clipped. 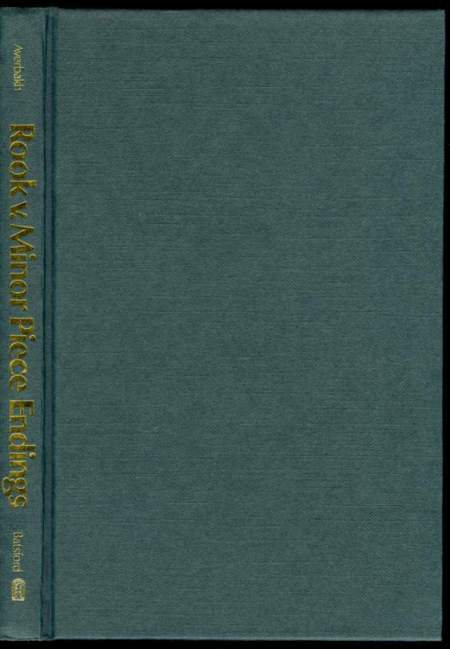 A very good copy in a very good to fine jacket.